Montrose Manor is now available as a bed and breakfast farm stay or as an exclusive luxury lodge. 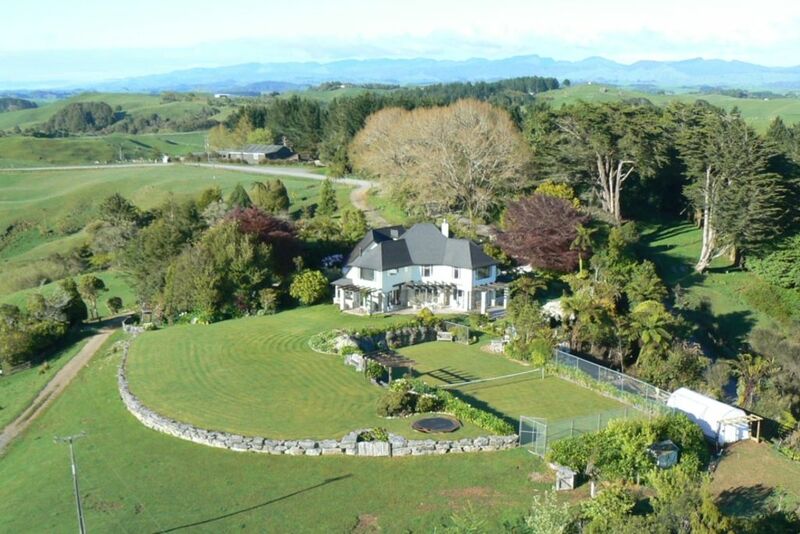 Built in 2006 on a spectacular plateau, with panoramic views from the west coast to the Coromandel ranges and the Ngauruhoe ski fields. Without another house in sight, it's a luxurious farm stay experience that will leave you feeling on top of the world - whether you settle in for a day or a week. The 1200 hectare farm is spectacular and guests are welcome to explore rare and beautiful native bushland, take part in farm activities, indulge in excellent trout fishing or hunting. The family is committed to an environmentally sensitive approach and takes pride in its care of the land and sustainable practices. Much of the food enjoyed by guests is organic and produced on the farm. Montrose is the ideal start or end of the Waitomo Great Walk, which is a newly developed three-day walk crossing from the Miln farm to Waitomo village. When excitement beckons, the nearby Waitomo Caves village and dozens of other attractions can be found. Within an easy driving distance are the ski fields, The Hobbit film locations, lovely country golf courses, fantastic cafes and a multitude of other attractions. Take yourself off the beaten track and create the memories of a lifetime at Montrose Manor and Cottage - and enjoy a Waitomo farm holiday.